“Avatar” is wooing audiences worldwide with visually dazzling landscapes and nature-loving blue creatures. But the Vatican is no easy crowd to please. The Vatican newspaper and radio station are criticizing James Cameron’s 3-D blockbuster for flirting with the idea that worship of nature can replace religion — a notion the pope has warned against. They call the movie a simplistic and sappy tale, despite its awe-inspiring special effects. “Not much behind the images” was how the Vatican newspaper, L’Osservatore Romano, summed it up in a headline. 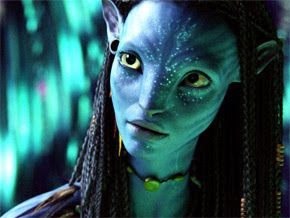 As the second highest-grossing movie ever, “Avatar” is challenging the record set by Cameron’s previous movie “Titanic.” Generally it has been critically acclaimed and is touted as a leading Oscar contender. Bolivia’s first indigenous president, Evo Morales, has praised “Avatar” for what he calls its message of saving the environment from exploitation. But the movie also has drawn a number of critical voices. Some American conservative bloggers have decried its anti-militaristic message; a small group of people have said the movie contains racist themes. To Vatican critics, the alien extravaganza is just “bland.” Cameron “tells the story without going deep into it, and ends up falling into sappiness,” said L’Osservatore Romano. Vatican Radio called it “rather harmless” but said it was no heir to sci-fi masterpieces of the past. Most significantly, much of the Vatican criticism was directed at the movie’s central theme of man vs. nature. “Nature is no longer a creation to defend, but a divinity to worship,” the radio said. Benedict has often spoken about the need to protect the environment, earning the nickname of “green pope.” But he also has balanced that call with a warning against turning environmentalism into neo-paganism. In a recent World Day of Peace message, the pontiff warned against any notions that equate human beings with other living things in the name of a “supposedly egalitarian vision.” He said such notions “open the way to a new pantheism tinged with neo-paganism, which would see the source of man’s salvation in nature alone, understood in purely naturalistic terms.” The pope explained in the message that while many experience tranquillity and peace when coming into contact with nature, a correct relationship between man and the environment should not lead to “absolutizing nature” or “considering it more important than the human person.” The Vatican newspaper occasionally likes to comment in its cultural pages on movies or pop culture icons, as it did recently about “The Simpsons” or U2. In one famous instance, several Vatican officials spoke out against “The Da Vinci Code.” In this case, the reviews came out after a red-carpet “Avatar” preview held in Rome just a stone’s throw from St. Peter’s Square. The movie -which has made more than $1,3 billion at box offices worldwide, partly boosted by higher 3-D ticket prices — will be released Friday in Italy. “So much stupefying, enchanting technology, but few genuine emotions,” said L’Osservatore in one of three articles devoted to ”Avatar” in its Sunday editions. The plotline of aliens who live on a distant unspoiled planet and the humans who want to pillage their resources is a universal theme that can be reminiscent of past colonizations and wars, the paper said. As such, it is easy to relate to it, but also unoriginal. “Everything is reduced to an overly simple anti-imperialistic and anti-militaristic parable,” it said. In America, the big numbers and media hype have been accompanied by some controversy. Blog posts, newspaper articles, tweets and YouTube videos have criticized the film, with some calling it “a fantasy about race told from the point of view of white people” and that it reinforces ”the white Messiah fable.” Cameron says the real theme is about respecting others’ differences. An LA Times blog noted that the movie “has inflamed the passions of right-wing bloggers and pundits.” “Cameron incensed many voices on the right by acknowledging of-the-moment messages about imperialism, greed, ecological disregard and corporate irresponsibility,” it said. Anti-smoking lobbies have denounced the cigarette-puffing character played by Sigourney Weaver. Back at the Vatican, the reviews did praise the groundbreaking visuals of the movie.